After taking a look at the defensive linemen it’s time to move onto the linebackers on the WVU football team. With Tony Gibson out and Vic Koenning in, it’s established this year’s defense is going to look much different. With star David Long Jr. declared for the NFL Draft, someone is going to need to step up and lead the Mountaineer linebackers. After starting eight games as a freshman, it appeared Dylan Tonkery was going to be a key component of the 2018 Mountaineer defense. After starting the first four games, Tonkery missed the rest of the games outside of an appearance in the Kansas game. He finished the season with 19 tackles, a sack and a pass defensed. The Bridgeport product is healthy again and we expect him to be back to quarterbacking the defense. Him staying healthy is key to the Mountaineer defense in the coming season as they need to establish some continuity, something that was greatly missed last season. VanDarius Cowan is a transfer from Alabama. He was dismissed from the team following a June 2018 arrest for assault. I don’t know if you’ve taken notice of what Nick Saban has going on down in Tuscaloosa, but if you are able to get on the field as a true freshman, you are obviously a talented player. Their front seven is a factory for high first round draft picks. VanDarius Cowan was able to get on the field as a true freshman so obviously this is a talented individual. As long as he can stay out of trouble he will definitely be a contributor to a successful 2019 WVU defense. It’s safe to say defensive coordinator Vic Koenning has not had a guy like this on his defense before arriving in Morgantown. In a bit of a surprise selection, we have sophomore Josh Chandler starting at Will linebacker. During his freshman season he played mostly on special teams, but provided depth at Will linebacker. During his freshman he had 14 tackles and a fumble recovery. While Chandler was not a big-time recruit, he has worked hard to increase his role during his time in Morgantown. Look for him to break into the starting lineup for the 2019 season. Blake Seiler was added to the coaching staff in January 19. Seiler was on the defensive staff for the Kansas State Wildcats for the past ten years. He spent 2017 as the assistant defensive coordinator and 2018 as the defensive coordinator. During his year as defensive coordinator the Wildcats ranked No. 3 in scoring defense (25.4 points per game) and No. 4 in total defense (403.4 yards per game). Al Pogue was at Troy from 2014 to 2018. From 2015 to 2018 he served as the cornerbacks coach along with Neal Brown and Vic Koenning. While there is no David Long Jr. to be the star of the show this season, West Virginia has a lot of players back and several players coming off of injuries. Other players to keep an eye on include Charlie Benton, Adam Hensley, Shea Campbell, Quondarious Qualls, Brendan Ferns and Exree Lowe. Jared Bartlett is the lone scholarship linebacker recruit signed from the 2019 class. He will be joining the team this summer. 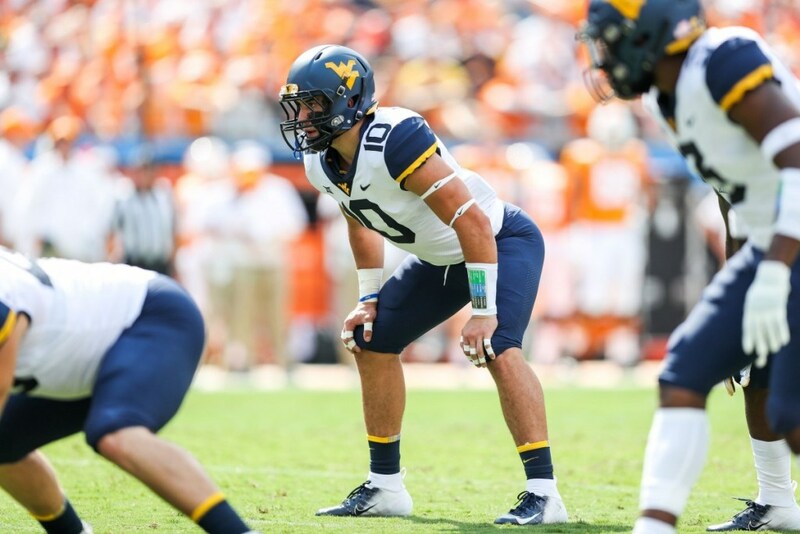 With the new coaching staff, the linebacker positions are wide open, so it’s anyone’s guess as to who will be getting the most playing time on the Mountaineer defense. Last year the linebacker position became so thin that safety JoVanni Stewart was moved from safety to linebacker. Stewart will likely return to safety this season. Even with David Long Jr. gone there is plenty of depth at the linebacker position. For the Mountaineer defense to succeed there will need to be some guys stepping up at the linebacker position.